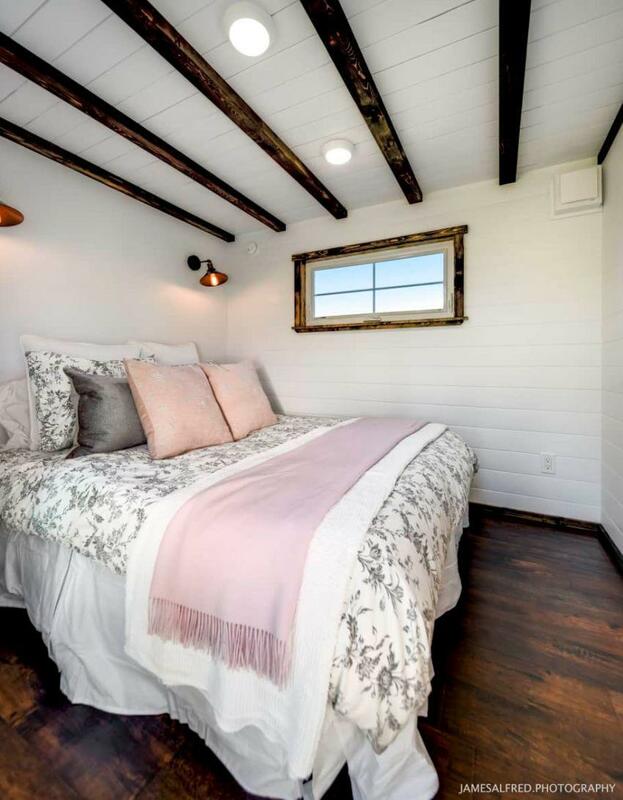 This elegant, 343 square foot tiny house on wheels boasts beautiful wood accents and double french doors. 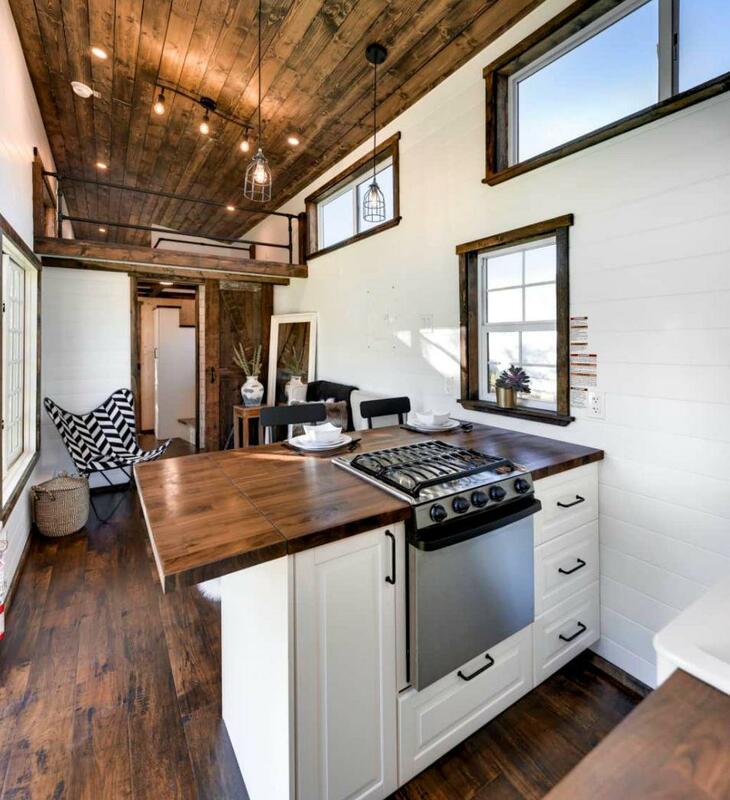 The separate spaces in this uniquely-designed tiny make it perfect for families or for vacation rentals. The kitchen space is perfectly refined. It’s not a large cooking space, but has everything you need. 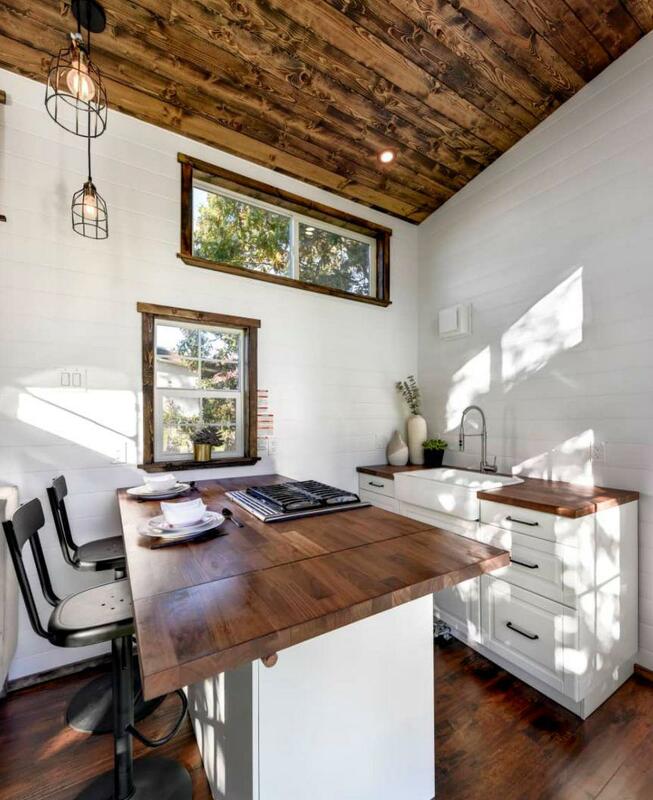 There’s a small oven, stove top, full-sized sink, and room for a fridge. Plenty of kitchen storage for a tiny house. The breakfast bar ties in the living room and kitchen area nicely. The living room is the perfect place to hang out and keep the chef company. 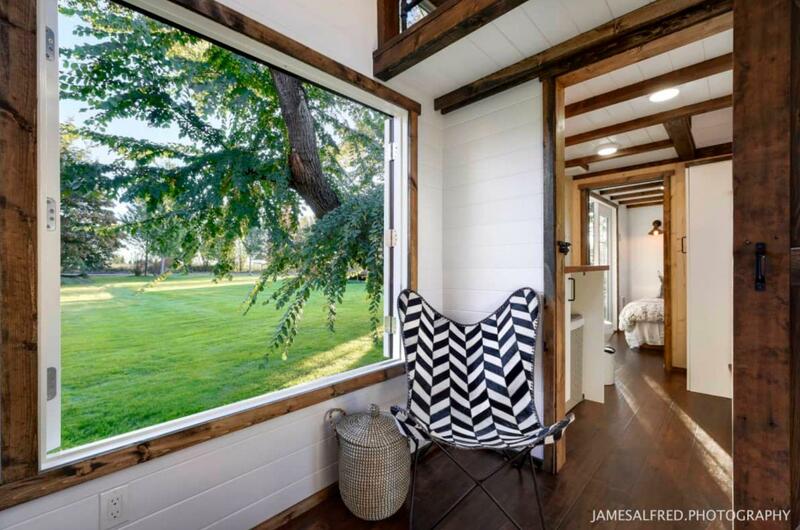 The wide French doors also provide a great view to the outdoors! 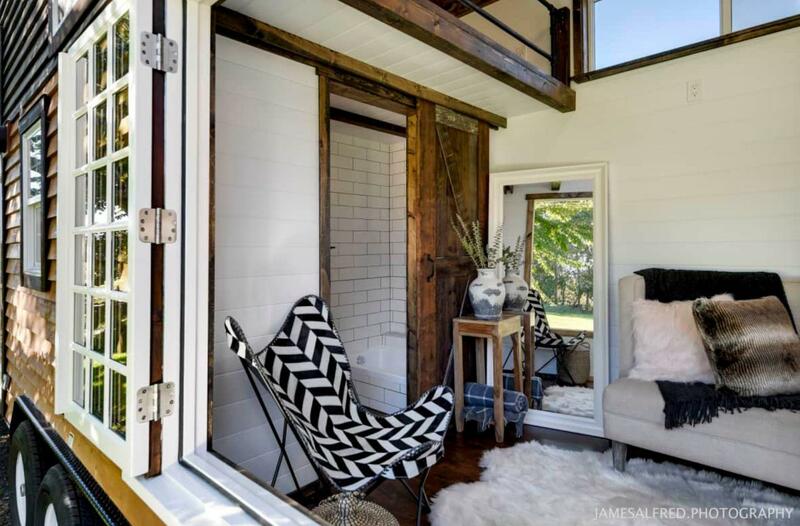 French doors bring the outside in. 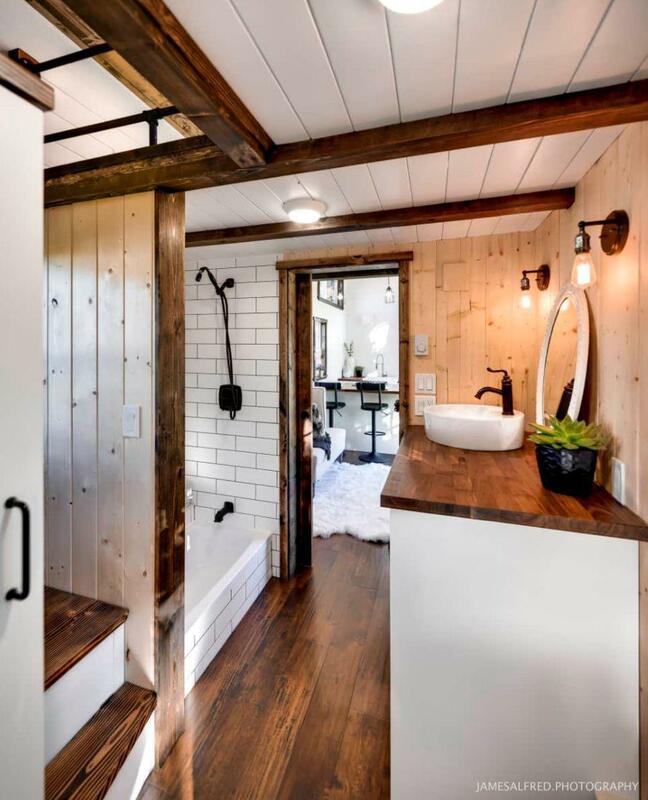 The tiny house bathroom includes a composting toilet, RV sized shower, sink, and space for a washer/dryer. The location of the bathroom between the ground floor bedroom and living room is ideal. The subway tiles really open up the space. A queen sized bed fits in the master, ground-floor bedroom. 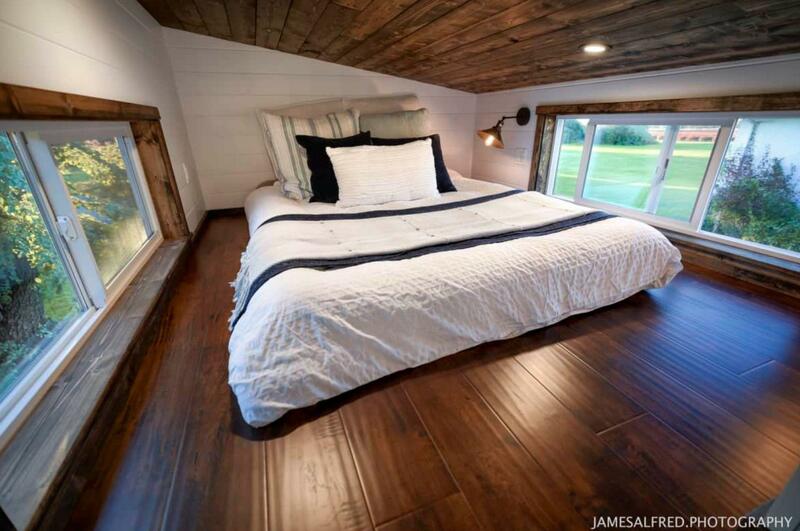 Two lofts offer additional sleeping areas with plenty of natural lighting. Ground floor bedroom with queen sized bed and double French doors. 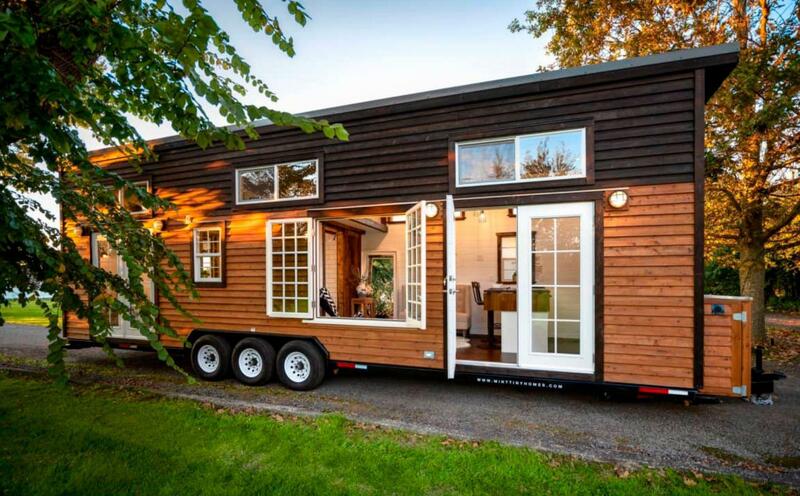 Make this tiny house on wheels your own for $92000. Please note; prices may vary over time. Contact the builder here for the most up-to-date information.